Richmond Olympic Oval provides a variety of opportunities to do different sports and activities. Photograph by Andy Grellman. 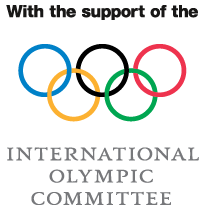 Residents and visitors in Richmond, Canada, continue to benefit from the city’s decision to host part of the Winter Olympics 2010. Sports managers told us how they ensure facilities and programmes reach the whole community. How does a city with a population estimated at 223,000 manage to stage international and national sporting competitions every year, plus more than 100 community events? 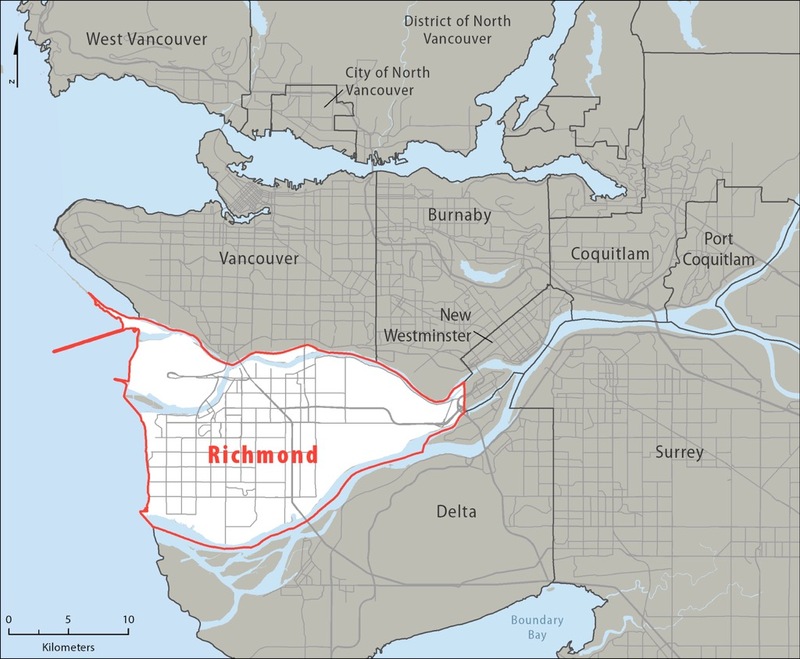 In recent years Richmond, in British Columbia, has hosted a long list of high profile contests such as the World Martial Arts Games, the World Wheelchair Rugby Championships, and the Fencing World Cup. 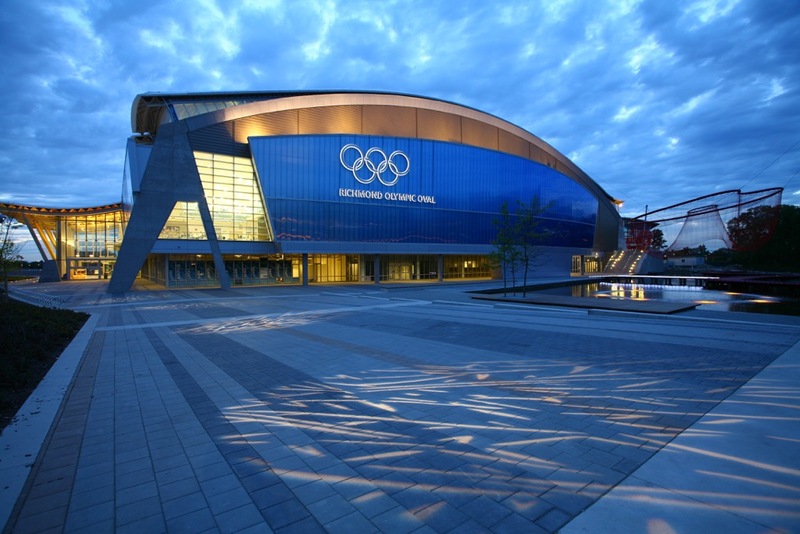 The city was the home of long track speed skating in the 2010 Olympic Winter Games and is proud of the fact that the venue, the Richmond Olympic Oval, now continues to serve the community daily. The Oval has over 6,000 members who use its fitness, wellness and sport facilities for activities including basketball, volleyball, ice hockey, speed skating, figure skating, group fitness, yoga, table tennis, and more. In addition, the Oval has over 26,000 square feet (2,400 square metres) of strength training and workout space, a 44 feet (13 metre climbing wall), two indoor hockey rinks, and houses the Richmond Olympic Experience, North America’s only Olympic Museum. Thanks in part to the many opportunities offered at the Oval, Richmond attracted 8 million visitors last year – 600,000 more than in 2015. 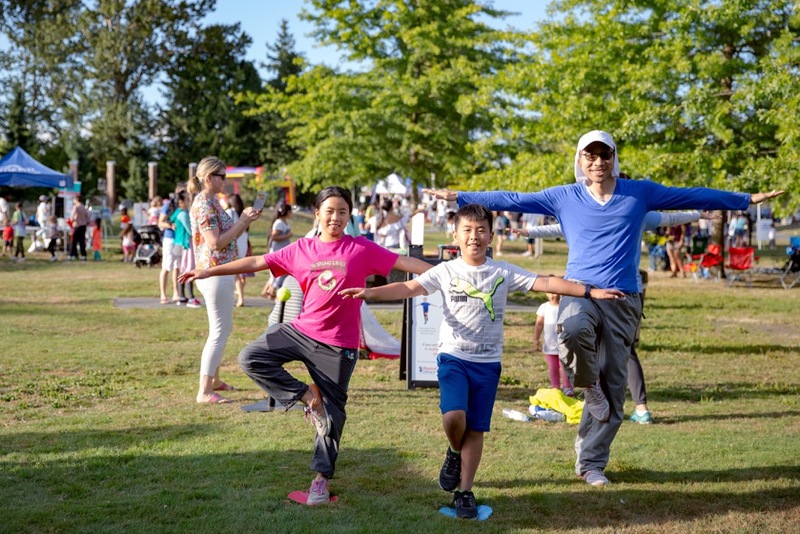 Richmond got involved with the Active Well-being Initiative (AWI) as a pilot city because it wanted to connect with other cities, and to share its experiences as a place that is making the most of its Olympic legacy. Serena describes a “culture of activity, sport and wellness” that is being served in the Oval and across the whole community. There are already a number of physical activity, sport and health strategies in Richmond. 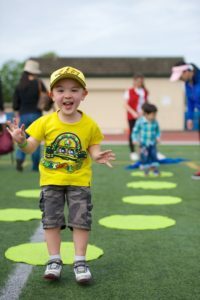 Since joining the AWI, the city has reaffirmed its alliance with the local health authority and the school district through the development of an updated Community Wellness Strategy that identifies innovative and collaborative approaches, under five focus areas, to improve wellness outcomes for residents. In order to evaluate the impact of the strategy’s actions, the alliance is working to increase and deepen its research into health and physical activity levels. To this end, Vancouver Coastal Health, which delivers health services to the region, in partnership with Fraser Health and the eHealth Strategy Office at the University of British Columbia, is preparing to launch an updated version of the My Health My Community survey, which aims to provide a complex analysis of the behaviour and well-being of its adult population, broken down by factors such as age, gender, socio-economic status and race. A grant secured through TAFISA’s Take Back Your Streets programme provided another opportunity to enhance Richmond’s work to promote physical activity for children and youth. The city’s Physical Literacy Street Team attended 30 community events in 2017, with Street Team Leaders facilitating games for children and youth while educating the public on the importance of sport and being active. Over 2,500 children and close to 1,300 adults were engaged by Street Team Leaders at events. The programme also built organisational and community capacity, with 76 City of Richmond staff and 72 Street Team Leaders and volunteers trained to deliver physical literacy activities. Community activities organised by the Physical Literacy team. The results of the My Health My Community survey revealed that people not born in Canada were less likely to have close friends in whom they could confide. “We work very hard to provide our programmes and services in a way that will allow people to connect with each other and form relationships with each other,” adds Serena. One project that encourages community cohesion is Walk Richmond – where volunteers lead walks throughout the city free of charge. 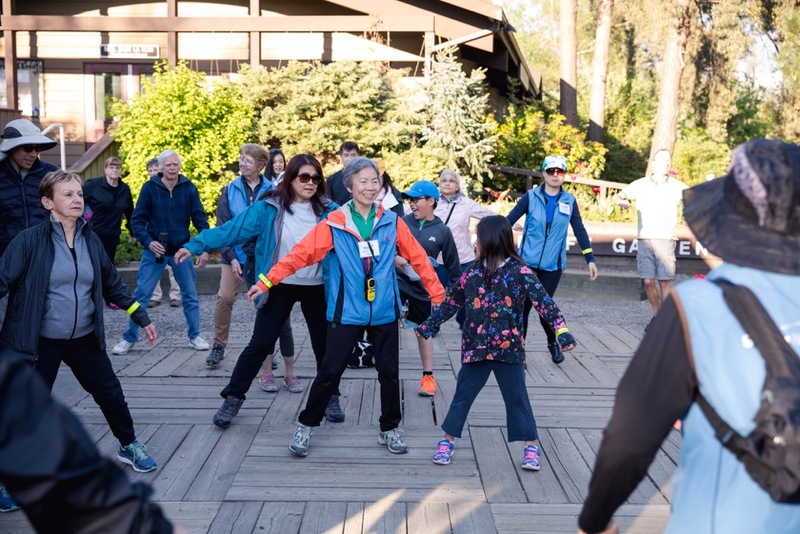 Each walk is attended by up to 50 people, learning about the city, being in nature, and making social connections. People of all ages take part in Walk Richmond. All public sports facilities are subsidised, with additional programmes providing lower rates for people with low incomes. There are nine community centres, one of which will be rebuilt over the next couple of years. The city is planning a new community centre in the rapidly-growing city centre neighbourhood, along with building a 110,000 square feet (10,200 square metres) multi-purpose facility that will house aquatic, fitness, seniors and field sport support services. At a cost of $80million (€52,800), this Minoru Centre for Active Living will be the second most expensive public facility in Richmond’s history, after the Oval. It is due to open in autumn. Richmond is considering applying for certification as a Global Active City by the end of this year.